Stranger Things has managed to pull off a tough feat: Living up to fans’ high expectations for season 2 after a wildly successful first season. With Stranger Things season 3 on the way, details are beginning to emerge about what’s next for the hit Netflix series, including the first, official trailer for the season. After its first season arguably earned the show the title of Netflix’s best original series, the bar was set high — especially once the streamer renewed it for two more seasons. Fortunately, the most recent adventures of the Hawkins gang proved to be just as riveting, keeping our hopes sky-high going into season 3, which again comes from the minds of creators Matt and Ross Duffer. The next set of episodes will debut July 4, so here’s what we know about Stranger Things season 3 so far. There are spoilers ahead, so read at your own risk. The official trailer for season 3 of Stranger Things (see above) debuted March 20 and it offered fans the first substantial preview of the show’s next story arc. Along with showcasing the young cast’s shift from children to young adults, the trailer also went all-in on the series’ 1980s aesthetic with a look at how the town of Hawkins, Indiana, has changed since season 2. The trailer’s debut also proved that Stranger Things hasn’t lost any appeal heading into its third season, as the preview of season 3 quickly became the most-watched Netflix video on YouTube, garnering more than 22 million views as of March 26. Fans are already working to figure out what it all means. At the very least, it looks like the Hawkins kids are going to have their hands full once again — at Emerald City Comic-Con, Stranger Things star Gaten Matarazzo teased that season 3 would feature not one but two separate antagonists. Netflix kicked off the new year by announcing the July 4 premiere date for season 3 of Stranger Things. The announcement was made via the show’s Twitter account, and was accompanied by a promotional image for the next story arc of the series. “One summer can change everything,” reads the tagline on the image. Much like in the run-up to the second season, Netflix has kept anticipation high for season 3 by releasing a teaser video that reveals the new season’s episode titles. Although the teaser doesn’t offer any footage from season 3, it provides the following titles for the next set of episodes: Suzie, Do You Copy?, The Mall Rats, The Case of the Missing Life Guard, The Sauna Test, The Source, The Birthday, The Bite, and The Battle of Starcourt. Let the speculation begin about everything we can learn from the titles. The young cast members of Stranger Things get the lion’s share of attention, but the adult actors have put in celebrated — and in some cases, award-nominated — performances right alongside them. 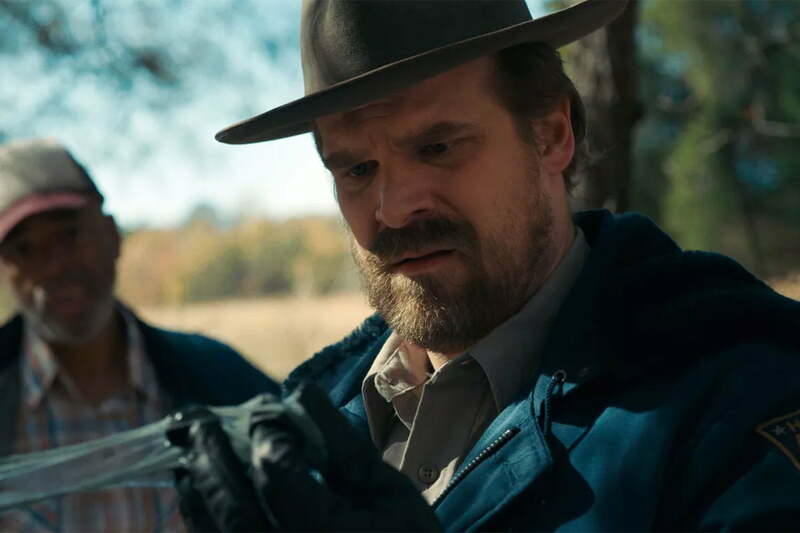 One of the most popular of those cast members, David Harbour, has offered some vague hints about where his character, Jim Hopper, is headed in the third season. For Hopper, the biggest part of leaving his comfort zone involves raising a teenage daughter — in this case, one with powerful telepathic and telekinetic abilities. Fans of the series may have to hold in their excitement for a while before they get new episodes, as Stranger Things season 3 is targeting a summer 2019 premiere. During the Television Critics Association press tour in July 2018, Cindy Holland, Netflix’s vice president of original content, was asked why the new season was being pushed to summer 2019 instead of premiering in the fall like season 2. Previously, series actor David Harbour hinted at a 2019 debut for season 3 in an interview with Variety. The first, official teaser for Stranger Things season 3 was released by Netflix in July 2018, and while it doesn’t offer much in the way of plot details, it does provide a tour of a new location that will likely factor into the season’s events in one way or another. The short video promotes the arrival of the Starcourt Mall in Hawkins, Indiana, in the summer of 1985. Filled with all manner of era-appropriate references to the stores, fashion, music, and general vibe of the ’80s, the video also features a brief appearance by everyone’s favorite pseudo-dad, Steve Harrington (Joe Keery), as well as season 3 newcomer Maya Thurman-Hawke, who apparently sells food-court ice cream with Steve. 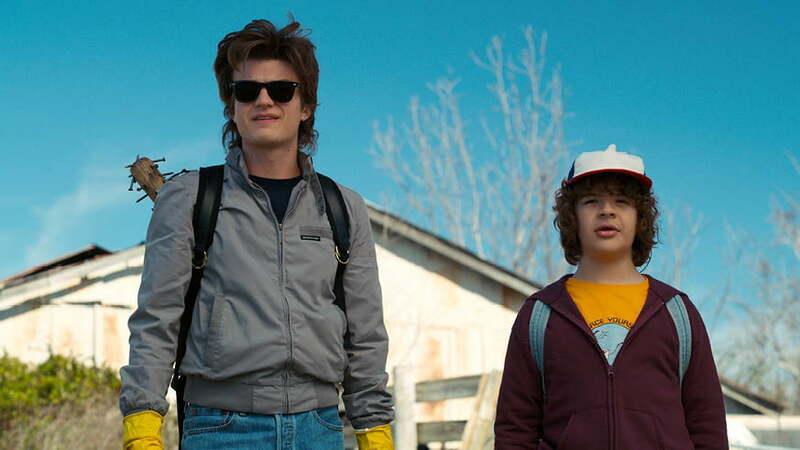 After helping the kids take on Demodogs and the Mind Flayer in season 2, Steve Harrington took his status to a whole new level with both the Hawkins gang and audiences. The young cast paid tribute to “Dad Steve” in a special video released on Father’s Day, and it’s a real treat for fans. Keery will have the chance to work his “Dad Steve Magic” once again in season 3, according to Levy. The executive producer admitted that they “stumbled into a gold mine” with the storyline involving Steve and the kids, and they’re planning on doing more with it. “We’ll definitely get to see some more of Steve Harrington in season 3, and I’ll just say we won’t be abandoning the Dad Steve magic,” Levy told The Hollywood Reporter. Season 3 won’t arrive until summer 2019, but there is some exciting news regarding the literary future of the franchise. In addition to a new season, Deadline has reported that the series is getting three new books, the first of which are slated to launch sometime this fall. Stranger Things: World Turned Upside Down: The Official Behind-The-Scenes Companion will be a behind-the-scenes look at the show. In addition, an unnamed gift book for children is also in the works. In the spring of 2019, fans will be able to get their hands on the series’ first novel, which will focus on Eleven’s mother and the mysterious MK Ultra project. Other projects, for adults and children, are expected to be announced. While the current Stranger Things cast films season 3, Netflix is taking the time to honor a couple of old favorites whose characters came to tragic ends: Bob Newby and Mews the cat, two victims of season 2. The streamer released a cute video called A Stranger Things Reunion that shows us where Bob (Sean Astin) and Mews the cat are now. Apparently, they’ve been coping with some trauma but are ready to face their Demogorgons. As you may recall, both Bob and Mews had awful deaths. Bob (Sean Astin) acted heroically when the Hawkins National Laboratory was under attack by Demodogs, but after risking his life to ensure that Joyce (Winona Ryder) and Will (Noah Schnapp) got out safely, he ended up being eaten. Mews similarly became the meal of a creature from the Upside Down. He was caught by Dart, the Demodog that Dustin (Gaten Matarazzo) was secretly raising before realizing what he was. The start of filming didn’t prevent Netflix from adding another member to the recurring cast of Stranger Things for its third season. Haters Back Off! 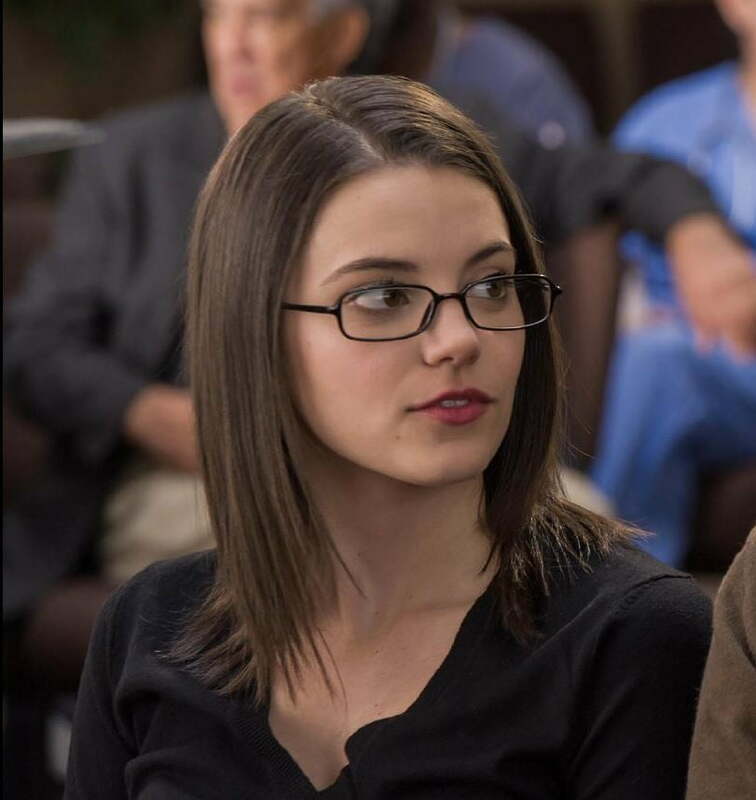 actress Francesca Reale (pictured) has joined the series in the role of Heather, a character described as “a popular lifeguard at the Hawkins community pool.” She’s expected to play a key part in season 3, but specific details are — wisely — being kept secret ahead of the season premiere. Season 3 was set to start filming on April 23, 2018, according to producer and director Shawn Levy. He told Collider that the cast had finished a table read with scripts for the first four episodes. The other scripts weren’t done yet, but Levy said they were on track. Filming did, indeed, begin. Star Noah Schnapp replied to a fan’s request for a birthday greeting on Twitter on April 25, 2018, and when another fan jumped in to ask how it is being back in Atlanta, he let them know how thrilled he was to have started work on season 3. 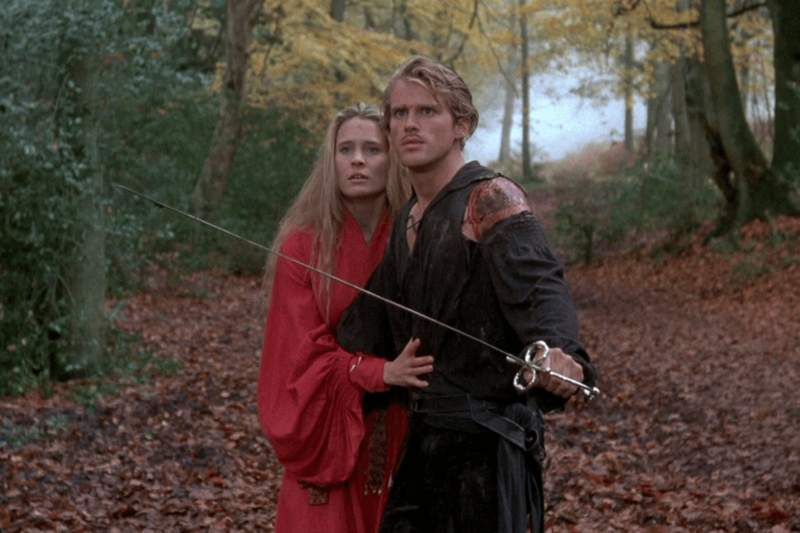 Netflix announced the addition of two new cast members to the series in April 2018, with Cary Elwes and Jake Busey both joining Stranger Things in guest roles for the third season. PaleyFest brought together Stranger Things stars and producers in 2018, giving them the perfect opportunity to share new season 3 plot details. They delivered, both on the red carpet ahead of the event and during the panel itself. Shawn Levy, one of the show’s executive producers, discussed the time jump that his colleagues Dan Cohen and the Duffer brothers had previously mentioned, and he was more specific. Levy confirmed that the series will move forward a year, to the summer of 1985, according to The Hollywood Reporter. That means we will see the same gap between seasons 2 and 3 as we did between seasons 1 and 2. Additionally, the particular year opens the door for a Back to the Future reference, as Levy pointed out. A lot can happen in a year, especially when it comes to young love. 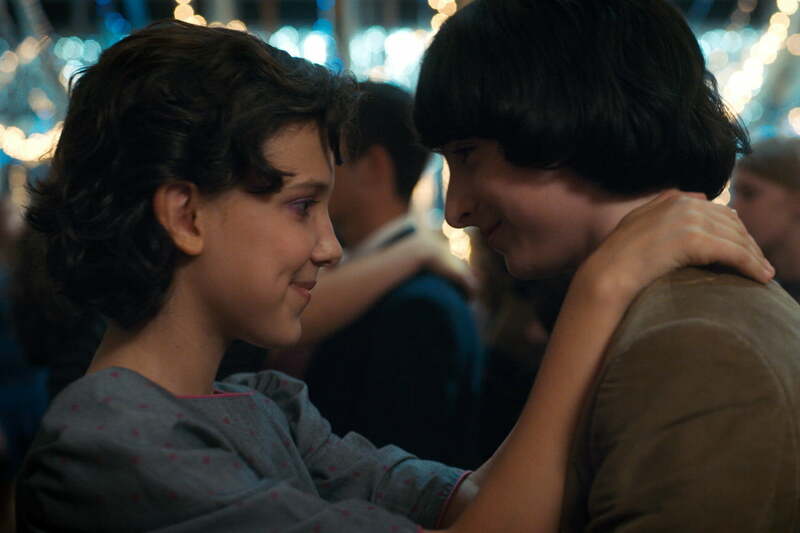 Still, it sounds like the kids’ relationships — those of Mike (Finn Wolfhard) and Eleven (Millie Bobby Brown) as well as Lucas (Caleb McLaughlin) and Max (Sadie Sink) — will have managed to outlast the average middle school student’s. That doesn’t mean they’re rock solid, though. Levy indicated to The Hollywood Reporter that there will be ups and downs. In March, The Hollywood Reporter indicated that the stars of Stranger Things — adults and children — will receive a massive pay raise for the show’s third season after a long and intense renegotiation process. Much like the series’ second season, which added Sadie Sink as Max “Mad Max” Mayfield to the featured cast, season 3 is bringing in another new girl to join the kids (and teenagers) in Hawkins, Indiana. The report also confirms that Priah Ferguson — who played Erica, the younger sister of Caleb McLaughlin’s character, Lucas Sinclair, in the second season — will indeed have her screen time increased to a recurring role. For those of you who blazed through the first eight episodes of Stranger Things and wished for more, it appeared that Netflix heeded your frustrations when it added an additional episode for season 2, bringing the total to nine. Now it seems that what Netflix giveth, Netflix can taketh away, as TVLine reports that season 3 will return to the eight-episode format. For some, this is good news, as the episode count for season 2 might have made it seem too long overall. Too much of a good thing, perhaps. But for others, the report is akin to Netflix breaking the cardinal “no backsies” rule. Will Byers (Noah Schnapp) has had a rough couple of years. After being abducted by the Demogorgon in season 1 and filled with nasty Upside Down stuff (including baby Dart), Will found himself possessed by the Mind Flayer in season two before Joyce, Jonathan, and Nancy turned up the heat to force it out. All the while, Will was experiencing eerie visions and nightmarish flashbacks. We all knew it was going to happen. The Duffer brothers have been open (if a little cagey) about seeing the series span at least a couple more seasons, and given just how successful and popular the series is, Netflix would, of course, want to keep the gravy train running. The official announcement came care of Netflix’s official Twitter account, with a humorous pair of tweets asking fans if they should make season 3 or not. With the next season officially on the way, now the waiting game begins. With the Stranger Things kids growing up, the show has to keep pace. Like season 2, which jumped forward a year from the events of season 1, the show’s third season will leap-frog more time. The Duffer brothers told IndieWire after their Master Class session at Chapman University on November 3, 2017, they are enjoying exploring the possibilities. Part of that includes the new avenues that have opened up as their young cast has gotten older. Although aging impacts what they can and cannot do moving forward, the Duffers pointed out that the teenage years have built-in drama that will benefit the show. We saw as much in season 2 as characters dealt with crushes and romantic rivalry, for example. “I think it’s good it forces the show to evolve,” Matt said. Season 2 brought a victory for the Hawkins kids when Eleven (Millie Bobby Brown) was able to close the gate and trap the Mind Flayer in the Upside Down. The problem, however, is that the monster hasn’t been destroyed and it now has them on its radar. Based on a tease from the Duffer brothers, this could play a role in future seasons. With that ominous note, we wouldn’t be surprised to see the Mind Flayer back in season 3. Getting to know the family of Lucas Sinclair (Caleb McLaughlin) meant that we got to meet his hilarious younger sister, Erica (Priah Ferguson). She won us over with her quips about her older brother’s nerdy habits and love life and, not surprisingly, she stole the hearts of the Duffer brothers and writers as well. It turns out that her role was actually supposed to be smaller than it was in season 2 but once they realized how great she was, they gave her more screen time. Matt Duffer described Ferguson as “GIF-able” and said that the writers quickly realized they needed more of her. As such, “there will definitely be more Erica” in the upcoming season, according to Ross Duffer. Beyond season 3, the show’s future is somewhat murky. Although the Duffer brothers have spoken about concluding the series after its fourth season, their plan isn’t set in stone. In an interview with The Hollywood Reporter, they shared that while they do have an idea of how they’ll end the show, they aren’t ready to say how many seasons it will take to get there. Popularity alone won’t keep it going; they also require a “narrative reason.” Not only that, they want to make sure they and the rest of the team are still excited about what they’re doing. That is interesting to hear, of course, but before we get ahead of ourselves, we’ll return to eagerly awaiting season 3. Updated on March 27, 2019: Added confirmation that the season 3 trailer is the most-watched Netflix video on YouTube.